Ernestina Repetto, MSF advisor on infectious diseases, answers the big questions on antibiotic resistance. Based in the Middle East, Ernestina Repetto’s work focuses on antibiotic resistance and its effect on MSF’s projects worldwide. In East Mosul and elsewhere she advises on treatment for patients with multidrug resistant infections. Is antibiotic resistance a new phenomenon? And why has it become such an important health issue? “Antibiotic resistance is on the rise in all parts of the world – but it is not a new phenomenon. If we look at the history of antibiotic discovery, the first resistance to an antibiotic happened almost 100 years ago! Resistance happens when the bacteria in our body find ways to survive and resist new antibiotics – a process which is natural and unavoidable. The reason why it is a growing issue now is that, over time, these bacteria are developing resistance and sharing their resistance mechanisms with each other, thus enhancing the phenomenon. In concrete terms, this means that it is becoming harder for doctors to find effective options for treatment among the antibiotics available. 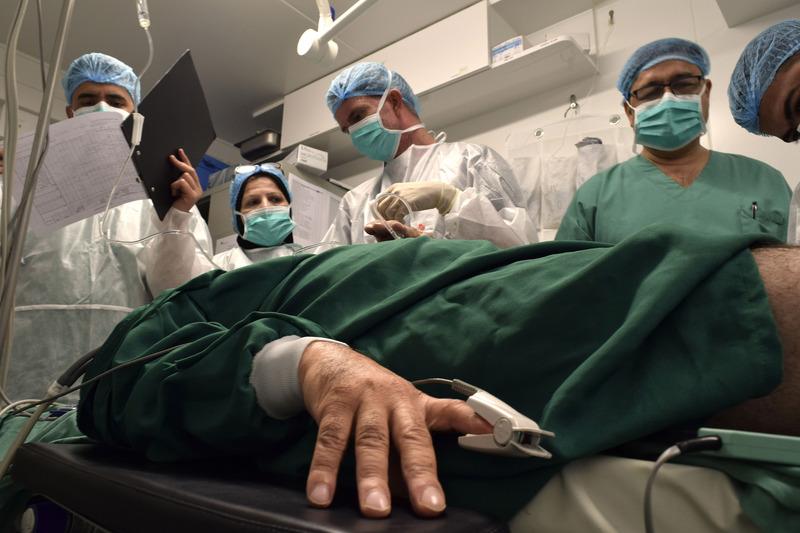 Hani Tah Suleyman, 63 years old, in his room in MSF’s post-operative care facility in East Mosul. Hani is affected by osteomyelitis and has developed a multidrug resistant infection. Photograph by Candida Lobes. Why is antibiotic resistance such a problem in the Middle East? And what is MSF doing about it? “Antibiotic resistance is caused by a number of factors. While unregulated use of over-the-counter antibiotics is one driver, there are many other drivers, such as poor infection control practices; bad prescription practices; supply of poor-quality antibiotics; lack of adequate diagnostic tools and surveillance; and insufficient patient education provided by doctors, to mention just a few. In the Middle East, many of these factors have been present in recent decades. Olivera Novakovic, MSF psychologist during a session of psychological support with Ali Monir, a 12-year old patient staying in isolation room due to a multidrug resistant infection. Photograph by Candida Lobes. When MSF opened its hospital in East Mosul, were you surprised by the number of patients with antibiotic resistance? “We opened our comprehensive post-operative care hospital in East Mosul in April 2018. During the hospital’s first eight months, around 40 percent of our patients were admitted with an infection, mainly osteomyelitis and chronic infected wounds. Among the bacteria that were isolated, the vast majority already showed a multidrug-resistance pattern, automatically reducing their treatment options. What consequences does antibiotic resistance have on a patient’s treatment? “A patient with an antibiotic-resistant infection, especially a multidrug-resistant infection, has fewer antibiotic treatment options, and these options are generally more expensive and mostly available as intravenous drugs. 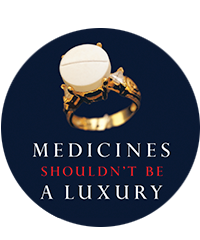 Not all countries or hospitals have access to the expensive ‘latest generation’ antibiotics. Challenges in accessing those antibiotics are more frequent in low and middle-income countries, which complicates their capacity to treat patients in need. Ali Monir, 12 years old, rests in his room, in MSF’s post-operative care facility in East Mosul. Ali has been hospitalised because of a leg fracture. Medical tests revealed that Ali presents a multidrug-resistant infection. Photograph by Candida Lobes. What are the best ways to prevent antibiotic resistance? “It is possible to act in order to prevent or limit the occurrence of antibiotic resistance on every level. For instance, we always advise patients to use antibiotics only when prescribed by a health professional and to never share or use leftover antibiotics. We also stress the importance of following basic hygiene rules (washing hands, covering the mouth when coughing etc) – whether you’re a patient or a health professional. And medical staff also needs to take the time to educate patients about how to prevent infections, what antibiotic resistance is, how to take antibiotics correctly and what the dangers are of antibiotic misuse.